Persecution of the Jews – at least from those supposedly following Jesus – would perhaps have been largely avoided if the Church had fully understood the Messianic promises of the Tenach (Old Testament). Biblical illiteracy among Christians (certainly in the West) is a major contributing factor to its present backslidden state, which is why I heartily recommend R T Kendall’s book Why Jesus Died, published in 2011 by Monarch. 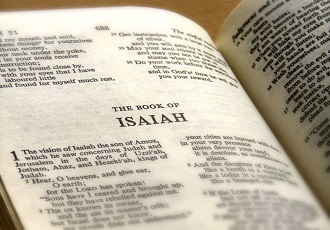 Sadly, the demise of many Christian bookshops in Britain is the reason I have only just come across this profoundly inspiring meditation on Isaiah 53, with a foreword by Jews for Jesus associate executive director Susan Perlman. The much-loved preacher specifically addresses Jews at various points, but the whole work, in my opinion, is more of a challenge to a sleepy church that has either forgotten or deliberately cut herself off from her Hebraic roots. Lack of understanding of the fundamental truth that the Messiah had to die – it wasn’t principally the fault of the Jews, or the Romans – is what, in large measure, led to the pogroms perpetrated against God’s chosen people over the centuries. It is true, of course, that Pontius Pilate, the Roman Governor, handed Jesus over to be crucified, and that the Jewish chief priests consented to it. But Jesus died for our sins – so in that sense we all put him on the cross. However, ultimately, it was God’s doing – as the Kentucky-born preacher so eloquently argues. And in the case of verse 6 of the chapter, Kendall calls it “the Bible in a nutshell”, rather as John 3.16 is often described. That many Jews still can’t see that this ancient prophecy is so clearly fulfilled in Jesus is a point of great frustration to many Christians. But as R T points out, it may seem obvious, but we all still need the Holy Spirit to give us the revelation we need on Scripture. In summary, the passage under consideration speaks, not of a charismatic personality who would be immediately recognised for his dashing looks and regal qualities, but of a Messiah who was despised and rejected, afflicted, wounded and even “cut off from the land of the living” – despite the fact that “he had done no violence, nor was any deceit in his mouth”. But he would be raised to life and justify many by his sacrifice. Kendall’s view is that there is no clear evidence that they had authority to pass on a curse to successive generations of Jews. This book is extremely edifying and enlightening, a ‘must read’ for all serious believers. Susan Perlman calls it “a treasure trove of gems and practical applications” written with “such skill and biblical insight”. R T Kendall, now 82, was minister at the famous Westminster Chapel in London for 25 years and now lives in Tennessee, though he continues to make regular appearances on the TBN-UK television channel.